When you think of brands and e-sports, some heavy hitting names in the gaming world come to mind. Brands such as Razor, Alienware, Logitech, and Corsair come to mind. Now you can add HTC to that list. No, that is no typo my gaming friends. 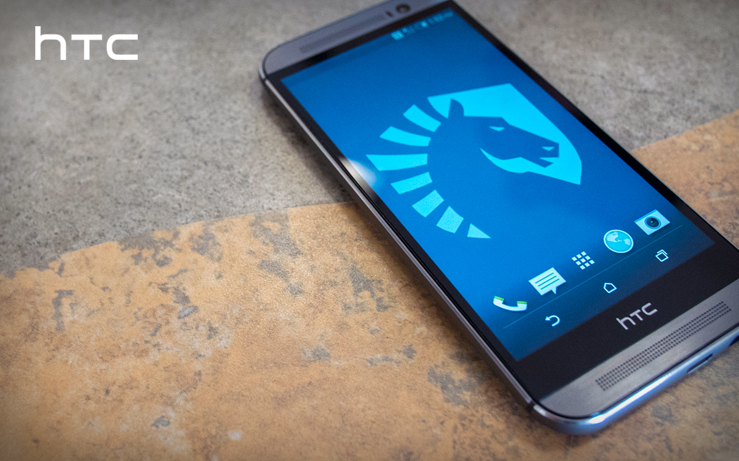 HTC has announced it will sponsor Cloud9, Team Liquid, and Team SoloMid for the 2015 seasons. So far, only League of Legends has been mentioned, but one would speculate that this sponsorship will extend to other competitive titles like Dota 2. This is an exciting announcement for HTC and it fuels speculation that new products from HTC are on the horizon. While nothing has been confirmed yet, HTC hinted at CES this year that there will be new products for HTC and that these products will be entertainment related. It would stand to serve that with this sponsorship of e-sports teams, HTC is looking to make inroads into the gaming market, and that at least one product this year will have some sort of ties to gaming. So what can we expect from this partnership? Not much is clear at this time. According to Team Liquid's announcement, they will be providing new content as well as a video series from each of the teams. They will also be holding giveaways of HTC products. So keep your eyes peeled for these giveaways to get you some cool HTC gear. Team Liquid also mentioned that Walter Wang and Thomas Chen were the e-spot project managers for HTC. To me, the fact HTC has made an e-sport project team shows that they are vested in whatever cool new products they have that is coming down the pipe. It can be speculated that whatever HTC builds, it will no doubt carry on HTC's tradition of making beautiful and well-built products. No definitive dates have been made this far as to when HTC plans on letting the rest of us know what their plans and products are. One possibility will be the upcoming Mobile World Congress in Barcelona, Spain in March. Until then we will just have to sit and wait with anticipation. HTC has made pushes into several new areas recently. They recently began work with Under Armour and will be producing various types of products and devices, presumably for the health and fitness markets. This means HTC wants to expand and possibly reinvent their brand. As to how this will all pan out is up for speculation. Keep checking back with Android Headlines for the latest. For now all we can do is wait and speculate at what this new venture will bring to the gaming and entertainment markets. Are you excited about HTC moving into the gaming space? Let us know what you think in the comments below.